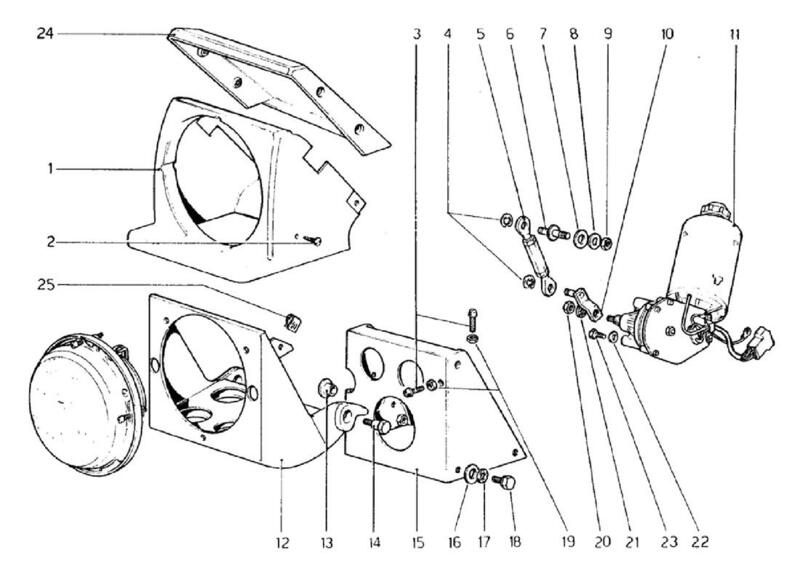 Ferrari 308 GTB (1976) HEADLIGHTS LIFTING DEVICE - Ricambi America, Inc. Location: 1 Prev | Next Part: 60219003 *Qty: 1 Contenitore per proiettore Dx. Location: 1 Prev | Next Part: 60067600 *Qty: 1 Contenitore per proiettore Dx. Location: 1 Prev | Next Part: 60219102 *Qty: 1 Contenitore per proiettore Sx. Location: 1 Prev | Next Part: 60067709 *Qty: 1 Contenitore per proiettore Sx. Location: 12 Prev | Next Part: 60238508 *Qty: 1 Ghiera Sx. Location: 12 Prev | Next Part: 60240306 *Qty: 1 Ghiera Sx. Location: 12 Prev | Next Part: 60097508 *Qty: 1 Ghiera Sx. Location: 12 Prev | Next Part: 60240207 *Qty: 1 Ghiera Dx. Location: 12 Prev | Next Part: 60238409 *Qty: 1 Ghiera Dx. Location: 12 Prev | Next Part: 60097409 *Qty: 1 Ghiera Dx. Location: 15 Prev | Next Part: 60201407 *Qty: 1 Supporto ghiera Dx. Location: 15 Prev | Next Part: 60098506 *Qty: 1 Supporto ghiera Sx. Location: 24 Prev | Next Part: 60172608 *Qty: 1 Rivestimento superiore Dx. Location: 24 Prev | Next Part: 60172707 *Qty: 1 Rivestimento superiore Sx.